Building aerobic capacity is essential for most competitive cyclists since anaerobic threshold power (also known as lactate threshold or critical power) is the best single predictor of performance in road cycling races. What can you do to increase your threshold power without spending more time on your training sessions? The answer is interval training. Probably not a big surprise, but many riders are not aware of the huge benefits there are waiting for them when they start to implement interval training. Not just intervals as you are used to do them. I talk about sharply targeted intervals designed to increase your threshold power. I recommend you do a 20min allout test to get a picture of your current threshold power. In theory it would be even more precise to do a longer test with a duration of 45-60minutes, but I don’t recommend it. If you are the lucky owner of a professional power meter like SRM or PowerTap SL it’s easy to read your average power output in the test. If you do the threshold on an exercise bike it might be little more difficult to calculate your score but it’s still possible. Now when you know how many watts you managed to perform in the 20min maximum test, you can plan interval training on these values. The main reason to use a power meter in your cycling training is you get a better and more accurate picture of the physiological parameters you want to improve. An old rule of thumb says that you get good at what you train. Using a power meter makes it easy to train exactly what you want to improve. That means 8minutes work with a power output around 275W followed by 4minutes with active recovery around 140W. You shall repeat these intervals 3 times which gives a total of 24minutes with 275W and 12minutes with 140W. Now you are ready to start your interval training. After a solid incremental warm up you are ready for the interval session. Try to maintain a power output as described, don’t go faster than your training plan tells you to (at least not in the first interval). Interval sessions like these can be ridden 2 to 3 times per week and can be used in various combinations with other intervals. 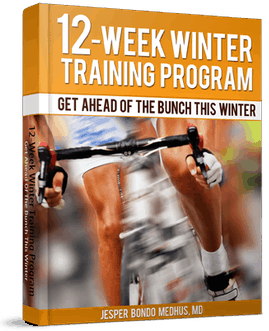 6 to 8 weeks later you should go back to Step 1 to do another power meter threshold test. Then you can plan new intervals based on your new (and better!) threshold power. Great post, I have a question, do you think I should alternate my interval training between two workouts like one day on the bike and the next training day on a treadmill? Could this help my threshold power or hinder it? So if I do for example 6x(8+4) I would get 48 minutes at threshold but not as much fatigue to the body due to the 4 minute resting in between when compared to the 2×20 min thresholdinterval? Is it that simple? Whats the difference between doing 2×20 and this, physiologicaly speaking? By fatigue to the body I mean that the recovery is faster, but the time spent at threshold is the same as compared to doing 2x20min? You are probably able to maintain a higher power output in the shorter intervals thus better training of your aerobic system. It’s difficult to say which workout will result in the best improvement. Most likely there isn’t much difference. Though, I would prefer the shorter intervals. Some good tips here. I’m finding it tough to stick to the set wattage, I guess it’s all about staying disciplined though. Thanks! Your instructions to get an estimated FTP are incorrect. 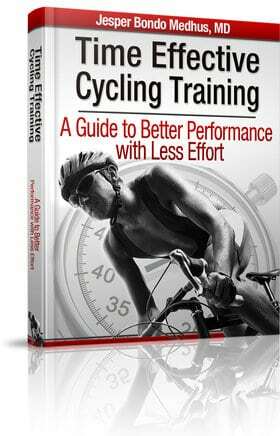 To get a true FTP to use for training zones you should use 95% of a 20min max effort. Alternativley take the average pwr for a max effort 60min (25mile) time trial. This is because a proportion of the 20min effort will be using anaerobic output which will cloud your true threshold output figures that shoud be used for training. Thanks for providing your knowledge about functional threshold power. Just to correct you: I don’t give instructions regarding functional threshold power. You’re right that using 95% of your 20min test gives a better estimate of your functional threshold power. Though, as I also write, performing a longer test would give a more precise picture of your current threshold power than the 20min test would. But from a practical point of view, evaluating your aerobic performance with a 20minutes test will work fine for most people. think we’ll have to agree to disagree. From a practical point of view there’s a big difference in most mortals 20min power to their 60min power. 60min being a truer reflection of FTP. As an example my 60min avg is 254w where as my 20min is 277w. 23watts is a big difference, especially when used 2-3 times a week in a 6-8week plan as suggested. So in my case, 277w intervals would be closer to a low V02Max session rather than FTP, which isnt an ideal zone to target to increase FTP. Though, I would still recommend intervals based on a 20min test as a good way to because that is one (out of many ways) to improve threshold power. Great link by the way.. Cheers Andy. Can I perform the same intervals using heart rate as a metric instead of power output? I’m not sure how to measure my wattage on my stationary bike trainer without purchasing additional equipment. for people who have not SRM nor POWER TAP,wich gear to use for those kind of intervals,for an semi pro rider as example? Is there a difference between riding on the road and riding a turbo. I can manage 300 watts in 20 minutes on the road but only 260 watts when I set up on the turbo. Why is that? I would say training at FTP is a little flawed and also too energy sapping. Training at 20min power is probably better (this is closer to the fabled critical power). Various studies have showed training at LT2 or MLSS show good results in untrained athletes but with well trained athletes training above LT2 towards VO2max or even higher and spending a lot of time at less than LT1 is a better plan to improve physiological markers (i.e. 80/20 rule). Also training at very high power outputs (multiple intervals @ 30 sec average power with long rests may be even better). Its strange how easy LT2 or RCP wattage feels when youve done a a few weeks doing 1 session a week of (175% of vVO2max) 6-700W for 8-10 x 30secs with 4-5 mins lower endurance pace. It feels like a breeze and yet you have spent no time at LT2 wattage. How Did VO2 Max Booster Program Work You?